Ruse-based paint and varnish maker Orgachim ( ) posted 182,000 leva (93,055 euros) loss for the first quarter of 2008, comopared to 2 mln leva (1.02 mln euros) profit booked for the year-ago period, the non-consolidated report of the company shows. The operating revenue of the company rose by nearly 2 mln leva to 25.71 mln leva (13.14 mln euros) as at March 31, 2008. The net sales revenue of the company stood at 25.57 mln leva (13.07 mln euros). The revenue from products sales accounted for 23.78 mln leva of the figure, compared to 19.01 mln leva a year earlier. Orgachim's operating costs rose by 4.7 mln leva to 25.92 mln leva as at the end of March 2008. The increase may be put down to the growing material costs, which went up from 15.07 mln leva in the first quarter of 2007 to 18.75 mln leva a year later. The balance sheet value of the company's assets rose by over 6 mln leva to 114.36 mln leva (58.47 mln euros). The non-current assets of the company went up from 76.27 mln leva to 77.05 mln leva, while the current assets rose from 32.05 mln leva to 37.32 mln leva. Orgachim's non-current liabilities declined from 23.03 mln leva to 22.92 mln leva (11.71 mln euros), while the current liabilities rose from 15.45 mln leva to 21.790 mln leva. 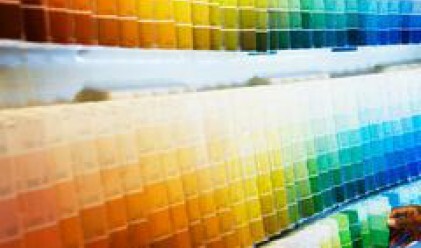 The issued capital of the paint and varnish maker stood at 503,000 leva (257,180 euros), while the equity capital of the company amounted to 69.65 mln leva (35.61 mln euros), compared to 69.84 mln leva a year earlier. Deals in the stock of the company were sealed even at a price of 328 leva (167.7 euros) per share after the unsatisfactory report. A total of 606 shares in the company have traded hands on the day. The stock has depreciated by 4.45% to 365.26 mln leva per share so far today.